Who’s ready for an update on New Fantasyland? I just heard that the first elements of Storybook Circus will open by late March, marking the first in a series of progressive openings for the largest expansion in Magic Kingdom Park history. 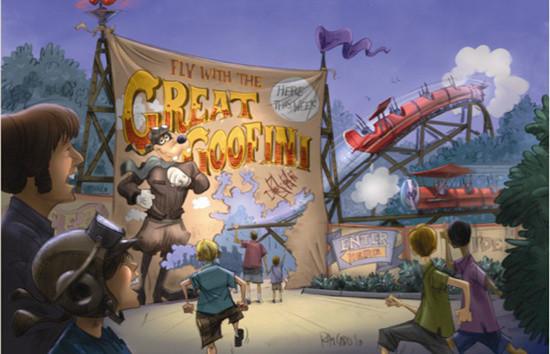 Among the first experiences to open will be one carousel of Dumbo the Flying Elephant, a re-themed Barnstormer starring the Great Goofini and the Fantasyland Station of the Walt Disney World Railroad. 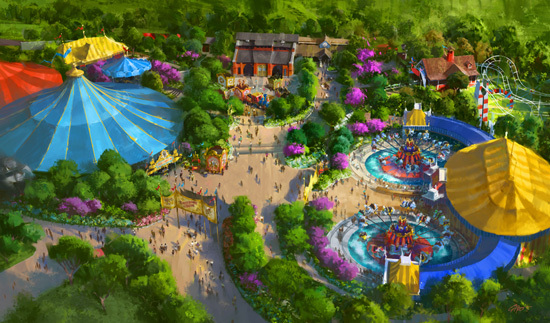 In designing Storybook Circus, Imagineers were inspired by Disney’s animated film, “Dumbo.” When complete later this year, the area will be filled with multicolored circus tents and other nods to the film. The section will also feature Casey Jr., the famous locomotive from the movie, who has rolled into town, bringing the circus with him. Beyond Storybook Circus and as we mentioned in a previous post, the Disney Princesses will be getting a new home at the location where Snow White’s Scary Adventures is today. The last day of operation for this attraction will be Thursday, May 31. We look forward to sharing more with you throughout the year as our work progresses.